Staff Sergeant Amanda Menlove prepares to show an Afghan boy how to throw a paper airplane at a school at Kandahar Airfield, Afghanistan. 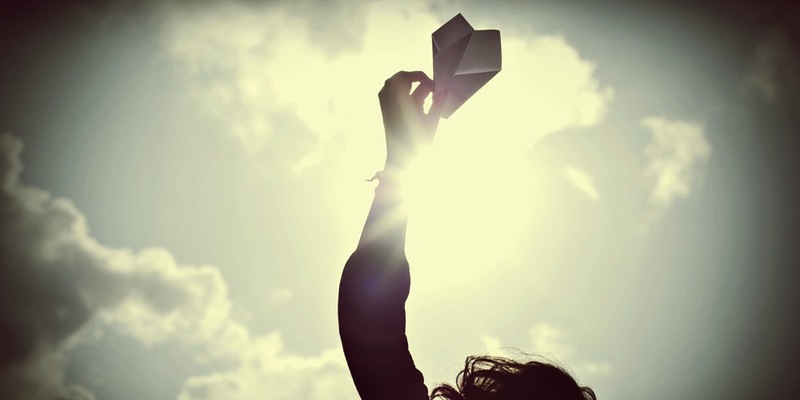 Paper Airplanes are Simple and Fun! All you need is a single sheet of paper, and -- mostly importantly -- the desire to have some fun! Got a crowd of eager, fellow paper pilots? Average office-supply packs of paper have enough material to make a fleet of 500 planes or more! 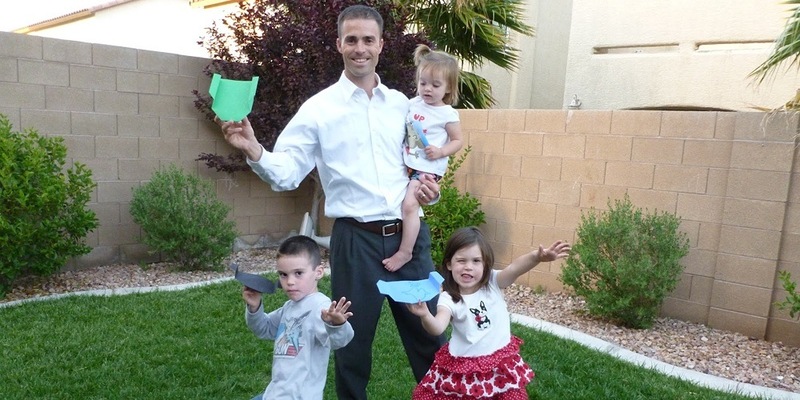 Paper Airplanes are a Great Way to Get in Some Quality Family Time! The Nye Family in Las Vegas, NV prepares to engages in "an epic Sunday air battle" -- the best kind of battle where everyone wins! 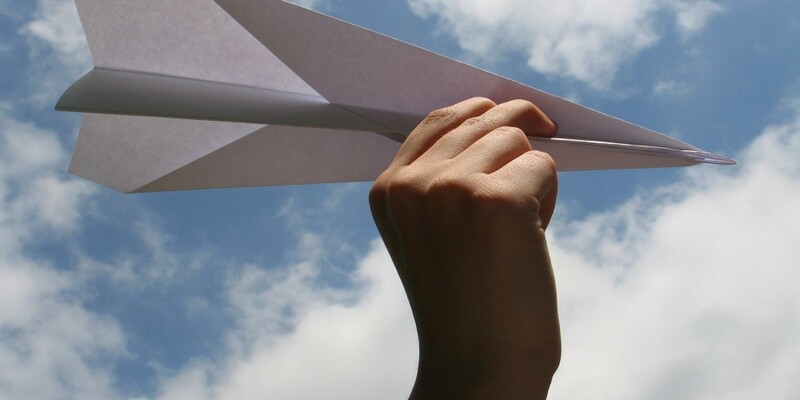 Paper Airplanes aren't Just for Kids! 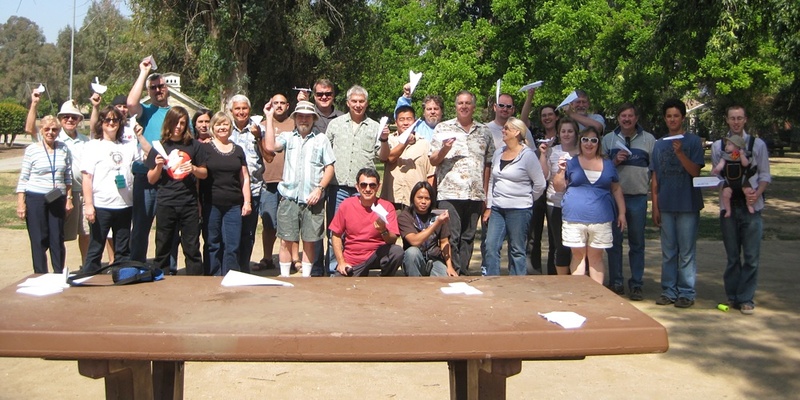 An enthusiastic group of mostly adult geocachers in Ventura, CA gathers for a Paper Airplane Race flash mob event cache. Warm sun and a beautiful sky. A paper airplane can help you more greatly appreciate both. Les Avions de Papier Sont Amusants, Même en France! 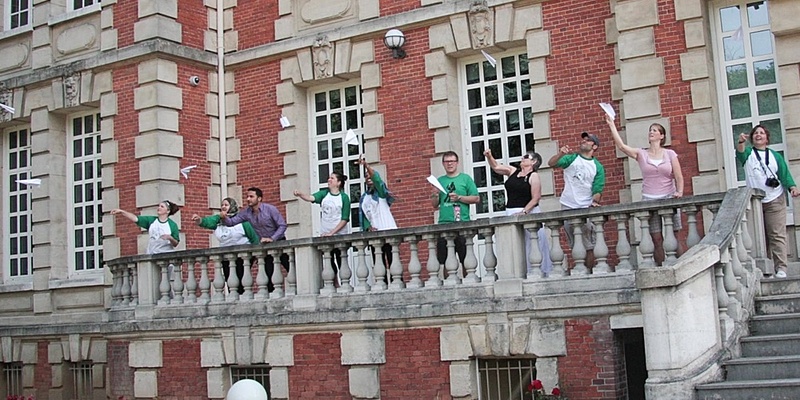 A Paper Airplane Contest Adds Life to any Party! A New Years' Eve party in Sydney, Australia. What better way to get your kids to run around than chasing after their airplane once it finally flies? Folding paper airplanes is a way to relax; a way to let the day's tension melt away. 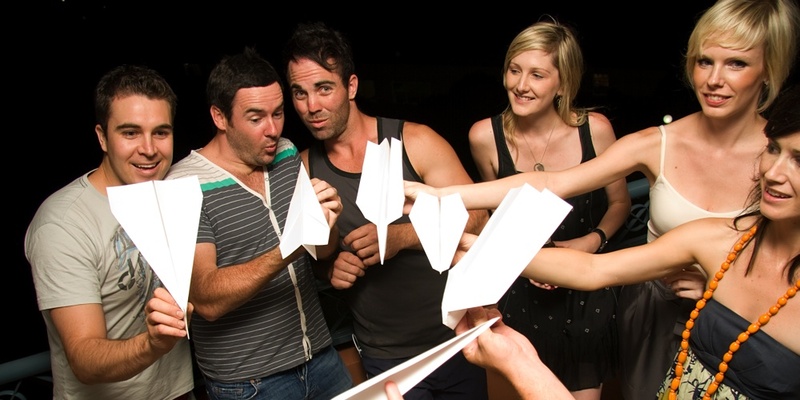 Making paper airplanes together creates family unity and loyalty, and builds self-esteem. 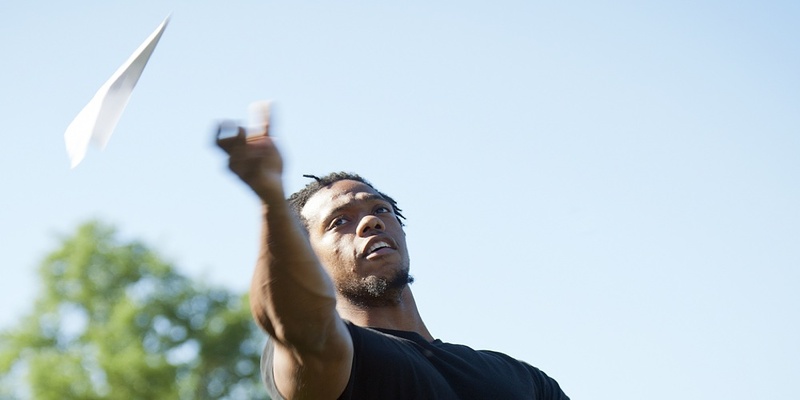 A simple idea that has been culturally embraced for thousands of years, flying paper planes is an inexpensive, healthy, and stimulating form of entertainment. Our mission is to encourage everyone young and old to put down their smartphones and iPads, get off the Internet, put down their Portal guns, and get outside for some primitive fun, tossing paper airplanes around with family and friends -- even if for only a few hours one day of the year! Actually, we don't take donations. This isn't that kind of cause! I mean it's not like we're trying to cure cancer or anything. However, we would certainly appreciate you purchasing books about making paper airplanes from our sponsor, Amazon . webmaster [that "swirly A symbol" thingy] NationalPaperAirplaneDay.org.